A gritty detective mask like this one is just what you need to solve any case that comes your way. 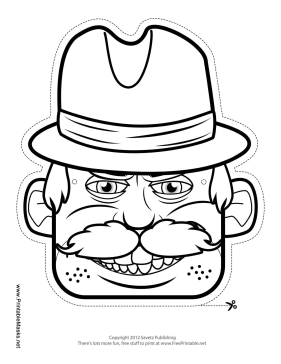 Be sure to color in the mask's mustache, hat, and eyes! This mask is free to download and print.